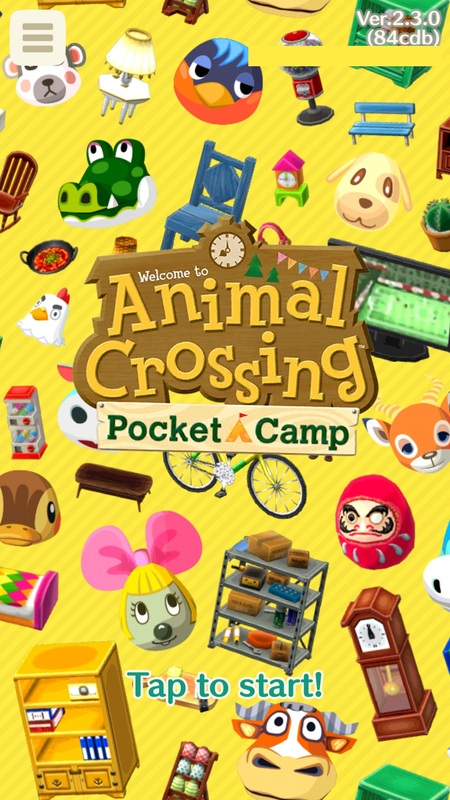 On this page, you will find all there is to know about the Software updates for Animal Crossing: Pocket Camp (originally released on October 25th in Australia, and late November 2017 in Europe North America, and Japan). Added the Reissue Crafting feature. Added the Let’s go! button to notifications. Increased the max capacity for collected items. Additional notes: check out this post for all the details! Official website: see links above. Additional notes: this update is part of preparations for an upcoming event. Added the Happy Homeroom feature. Added the ability to claim all goal rewards at once. Added the ability to cycle through goal pages. Added the ability to go straight to the fortune cookie shop from the map. Changed title screen and loading screen designs. Changed the themes of certain existing furniture items. Additional notes: check out this post for more details about the new features and improvements! Added the Blathers’s Treasure Trek feature. Added the Pete’s Parcel Service feature. The garden feature is now easier to use. Added new kinds of fruits. Adjusted campsite-camera controls in the camper and cabin. Additional notes: check out this post for all the details about the new features, improvements, and bug fixes! Additional notes: this update is there to prepare for an upcoming event. An issue that causes some devices to incorrectly display the app icon. Added the Fave Photo feature. Made some updates to the Friend List. Made it possible to skip some scenes. Increased inventory size for clothing and furniture. Increased inventory size for items (bugs, fish, etc.). Made it possible to unlock more inventory space for items (bugs, fish, etc.). Check out this post for more details! Additional notes: this update will drop support for older Android devices. Please check out this post for more details! The category for the items from the Splatoon 2 crossover event Blitz Clam Scavenger Hunt has been changed. Additional notes: check out this post for more details! Added a feature that makes it possible to look up at the sky while in the campsite. Adjusted the display for goals. Added list of users who helped get you into Shovelstrike Quarry. Additional notes: update announced on August 10th. Check out this post for more details about the update! Made the garden easier to use. Made it possible to further increase the number of items (bugs, fish, etc.) you can carry. your new outfit will be automatically saved if you switch between menus (or close the menu) after changing your outfit. Additional notes: check out this post for more details about the update! Made the Friend List easier to use. Made campsite-camera functionality easier to use. adjusts some of the rewards that can be obtained from completing requests from animals. Added Leaf Tickets × 2500 as a purchasable item bundle. Additional details: more details can be found in this post! Additional details: check out this post for more details (including a possible workaround for iOS users)! Additional notes: make sure to check out this post for more details about the update! You will need to download ~170MB of additional data once the update has been downloaded. Fixed an issue relating to visitors being displayed in the incorrect order. Additional notes: the udpate is now available on iOS devices. Made adjustments to the second half of the Garden Safari. Additional notes: for more details about the Rover’s Garden Safari event, check out this post! Additional notes: the udpate is now available on iOS. Added screenshot mode and share function. Additional notes: for more details about the update, make sure to check out this post. Also, take note you need to download 98MB of additional data after the update has been installed. Additional notes: you will need to download 42MB of additional data after updating the game. Additional notes: this is most assuredly the worldwide launch version of the game. 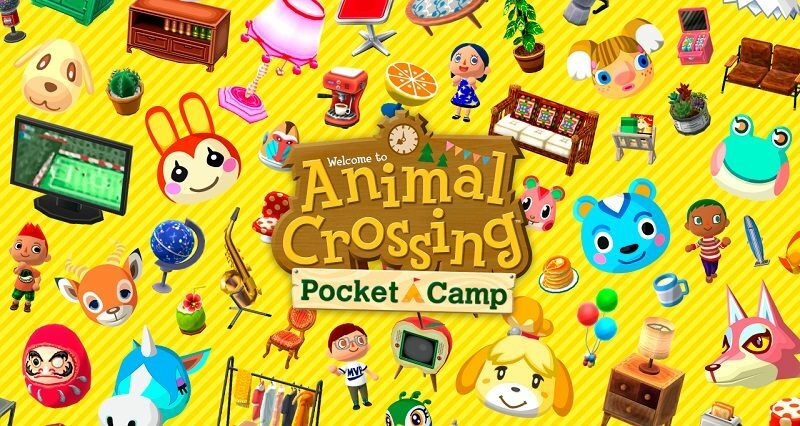 How to download updates for Animal Crossing: Pocket Camp for Android and iOS? go to the App Store / Google Play Store, and more precisely to the “My Apps & Games” section > Installed tab (Play Store, Android) or the Updates tab (AppStore, iOS). To check that you have the latest version installed, launch the app: you should see the version number at the top right corner of the screen. yesterday I have downloaded an new .apk file of the game, that updated the previous (V. 0.9.0). Latest update is Ver. 1.0.0. Never heard of Ver. 0.9.5, where did you get the apk from?